Exploration is an essential element of innovation. Trips into the world beyond the four walls of the office provide the Fahrenheit 212 team with unique perspectives, and the ability to look at a challenge with refreshed and inspired eyes. Innovator's Itinerary is a series of recommended destinations around the world for innovators everywhere. We hope that with these tips, you will go out and get inspired, too.This week, we present destinations from South Africa, Australia, and Colombia. Over Thanksgiving, I traveled to South Africa with my partner in crime. The plan was simple – land in Cape Town and figure out our moves from there. We spent a few wonderful days in the city – walking around, eating, hiking Table Mountains, finding hipster cafes, and generally taking it all in – before heading out for a week-long road trip alongside the Garden Route. Cape Town’s highlights definitely come down to three things: food, coffee, views. For food head over to the amazing Oranjezicht City Farm Market or make a reservation at the Codfather for seafood like you’ve never eaten it before. For coffee – forget the overhyped steampunk Truth Coffee – and instead opt for the real deal at the Origin Coffee Roasting. These are the folks who brought over the Seattle coffee culture to Cape Town 10 years ago, and continue to make the best coffee by controlling the entire process – from exclusive deals with bean farmers, to roasting and packaging, to finally training their baristas in house and brewing the best coffee this side of the earth. If you are lucky and/or mention that your favorite coffee shop is Gasoline Alley, the baristas will give you an hour long tour of the facilities. 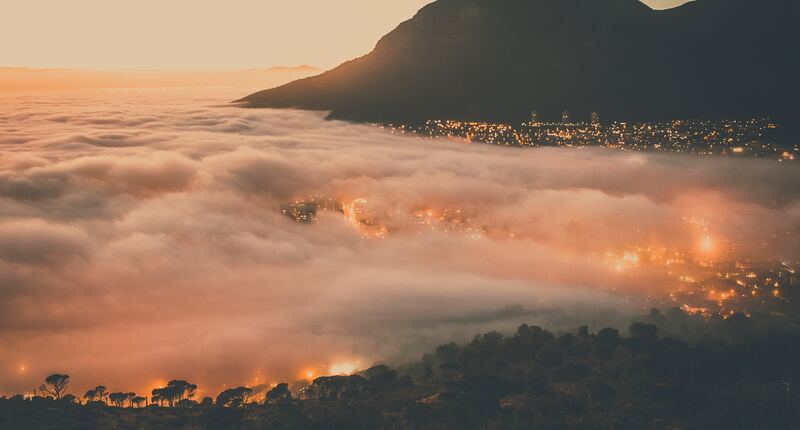 Finally, for incredible views – climb Table Mountains and see both sides of the Cape or hit up Mouille Point for a cheesy, but awesome sunset walk. Cape Town, as we found out, is at the epicenter of wine countries. Let’s just say the wine became the highlight of our trip. But the whole experience was also a little overwhelming. There are as many wineries as there are penguins in South Africa. So, instead of recommending the ones we loved (there were many)… there’s one that deserves special recognition. The Waterkloof Winery is a 100-hectares estate that produces unique, biodynamic wines on half of its land, leaving the rest set aside to preserve the rare and abundant natural vegetation. Since 2009, the winery estate also consists of a state-of-the-art gravitational cellar, tasting room, and restaurant serving fine, farm-to-table cuisine overlooking the Stellenbosch hills. The entire Waterkloof experience was an example of a thoughtful approach to creating a business – the philosophy of the founder permeates every aspect of the estate starting with the beautiful location, to tasteful architecture, all the way to how different wines are differently served to ensure the best is brought out in each of them. Finally, once you’ve enjoyed the city and the wine counties – head over to Cape of Good Hope. Although technically not the southernmost location of the African continent, this rocky headland surely feels like the end of the world. The nature is unleashed and violent – the wind, the waves, the birds, the whales (if you’re lucky to spot any). Pro tip: go towards the end of the day for an incredible warm and musky light, but make sure to have enough time to hike to the remotely located lighthouse. And put your phone away, and take it all in. My experience of South Africa was a perfect clash of experiential indulgence with the rawness and potency of nature; of meeting amazing, cheeky people along the way but also experiencing a deeply embedded patriarchy in all service encounters; and of seeing the European influences be completely oblivious of their impact on the African culture. A country full of contrasts and confrontations, but with an affinity for enjoying life fully and completely. Off on its own island south of Australia is nature-packed Tasmania. 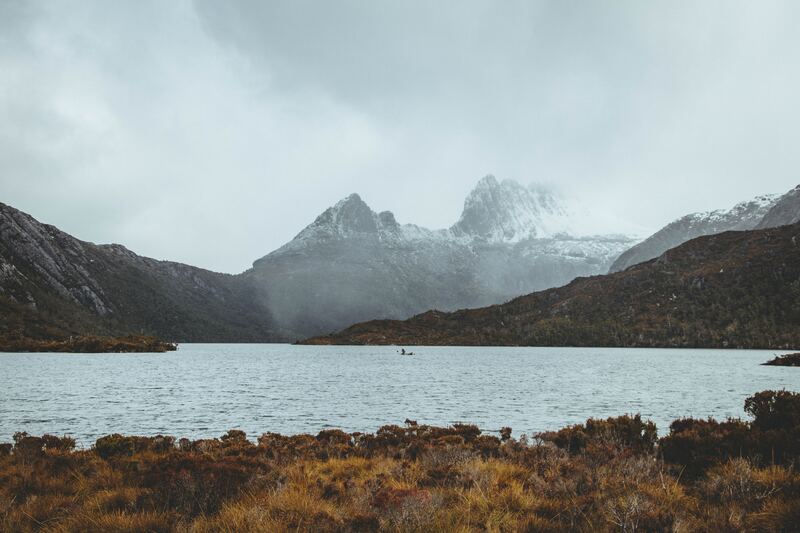 With enough tracks to fill weeks of hiking, most find themselves backpacking through Tasmania’s rocky national parks. A can’t-miss for innovators however, is a Sunday morning break between national parks at the Farm Gate Market in Hobart. While it’s the smaller of two farmer’s markets, if you want the opportunity to chat with local farmers and food entrepreneurs, and taste the local treasures, Farm Gate is worth it. It's easy to find yourself roaming lost in the endless varieties of Tasmanian honey, or learning about a new way to make soy-free beef jerky or butter more buttery. One of the most memorable sources of inspiration is chef Masaaki’s sushi stand, Masaaki is a local favorite who made the trek to Tasmania for some of the world's best seafood after 15 years as a chef in Japan. The attention to detail and intuition chef Masaaki brings to assembling each roll reminds you of how focused yet freeing the creative process can be all at once. Chef Massaki grinds fresh wasabi by hand and gives every single order a custom twist. Hoards of customers line up and select their choice of seafood but chef Masaaki seems to let his intuition at the moment guide the toppings and flavor combinations you'll end up with. The mixture of finely cut carrots, fresh seaweed, or threads of beetroot make for some of the most colorful, flavor-filled sushi you’ll find. It’s a piece of art in itself and one that reminds you to have a process but give yourself room to explore in any type of creation, food or otherwise. Having been born in Colombia, and having gone there every summer while in grade school, I was starting to grow tired of visiting the same places year after year. Until I went to THE place. Andrés Carne de Res is a completely different universe, located an hour outside of Bogotá, the capital. Great for both day and night time, the “restaurant” or galaxy of fun, as I like to call it, lies on both sides of the central street, with one main location, and multiple subsidiaries around it. It’s not just eclectic – it embodies every aspect of Colombian culture by representing the values in each region through food, music, dancing (yes music and dancing are separate here), masks, and theatre. The coastal regions are embodied through recreations of El Carnaval – a week long Colombian martigras – in which characters will come to your table and dance to cumbia or mapale. The inland regions are represented through a 60+ page menu of food and drinks. And every region is personified through the decorations on the wall. Now here’s where the innovation comes in. The “décor.” Not only did the founder, Andrés (of course!) imagine and organize a place where all of the different aspects of a diverse nation could live together and flourish separately, but he created the actual restaurant walls with recycled artifacts and emblems that reflected the culture of Colombia. The restaurant inside looks intimate and cozy at night - even though it’s not - because the construction of each location is more like a maze. Until you walk through it, you don’t realize how large the location actually is, and at the same time you’re not overwhelmed by its size or amount of things to do. With this intentional design, Andrés created a place where people of all nationalities and all ages could go to one place and experience the vastness and intricacies of just one place. Logistics to consider in advance: The original place is in Chía, Colombia, located about an hour from central Bogotá. Car services can be arranged to take you there from your hotel, or you can call the location for arrangements. 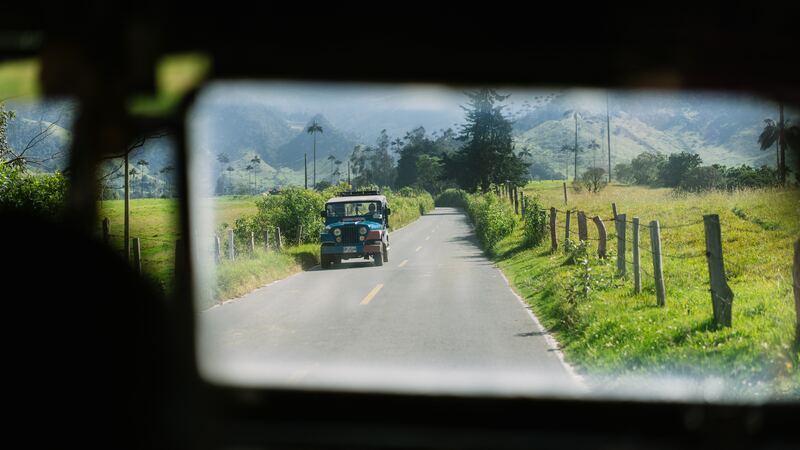 You can also reserve a car to take you back to Bogotá once you get to the actual location. If you do not have time to travel to Chía, there is an Andrés located in the capitol, but it is not as big or as crazy!